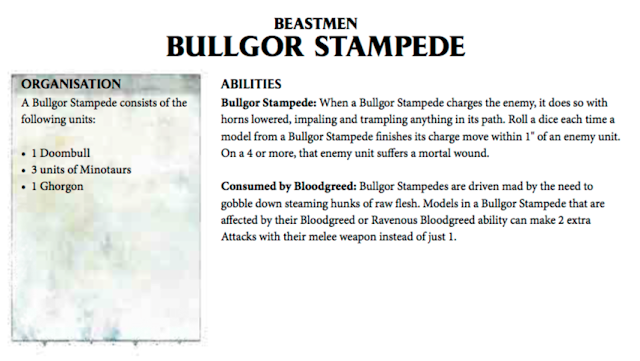 These units are more difficult to use in the game as a lot of the abilities either work after an attack has been made or you need to roll 6's. But I have found a way of using them, it does mean you need lots of Ungors to back them up and divert. I'll explain. Normally, you should always aim to get second turn in AoS but I have found that with this tactic, first turn works better. Firstly, you need some formations. Stampede and Ambush, plus 3 wizards for mystic shield. So this formation works as you need to be charging with the minotaurs anyway. 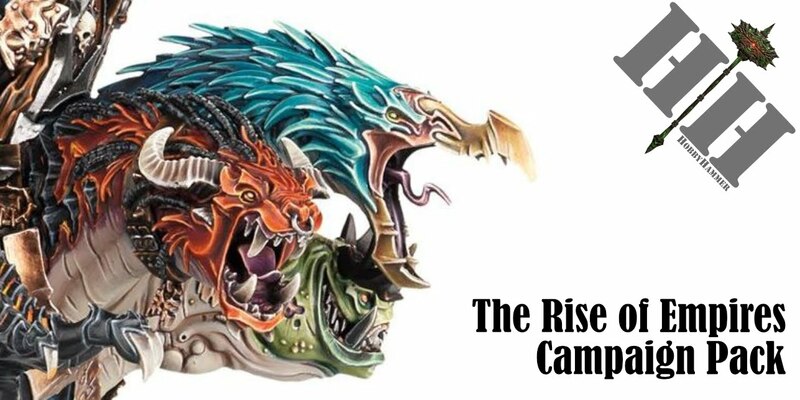 You really want to set up your units with Ungor in front which will protect if your charged, but can move out the way to allow Mino's to charge when time is right. 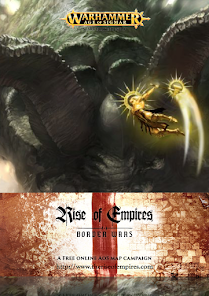 Get as many within 1" on the charge to the enemy and watch them fall. 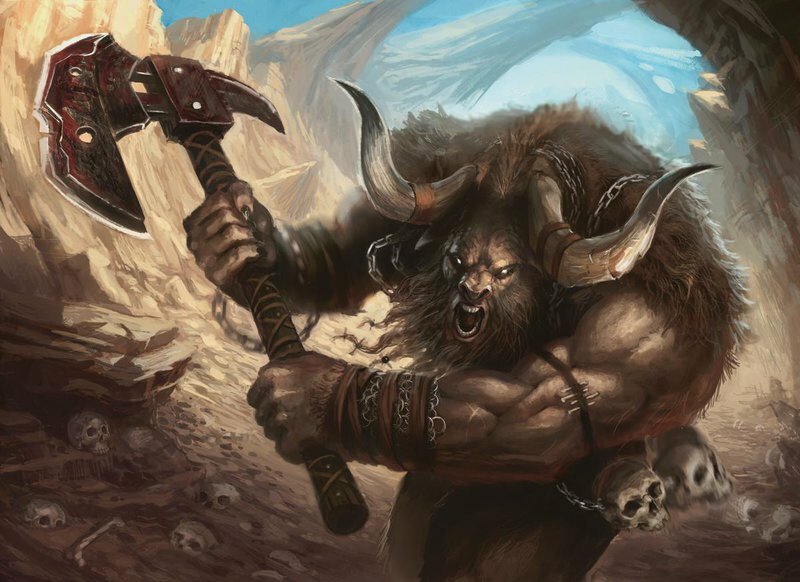 You should have 3 units of 6 minotaurs to get max impact. The extra attack of blood greed is bonus you will hardly ever get anyway. 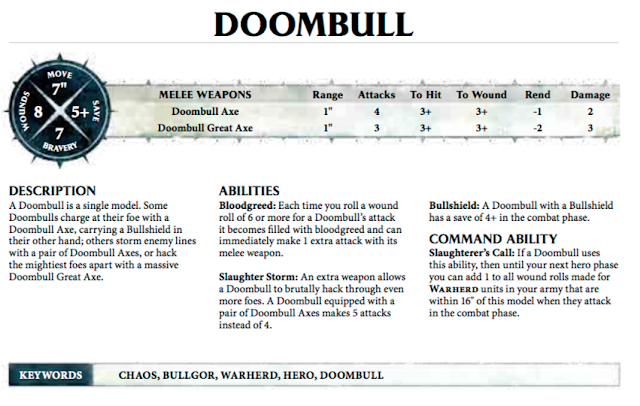 For this to work and the reason you need first turn is to get your ambushers on the table and shooting before your opponent can use mystic shield. 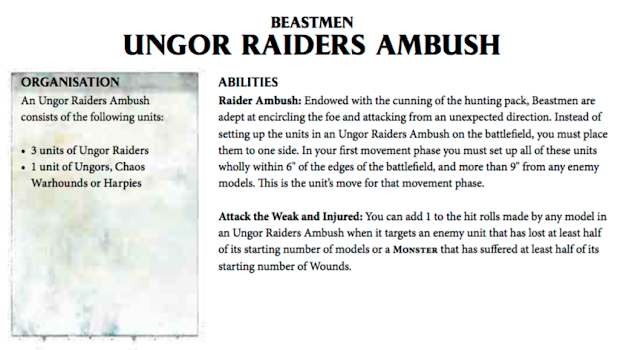 Use the 1 unit of Ungors (20) in front of your minotaurs and 3 units of 10 raiders to set up behind enemy lines. 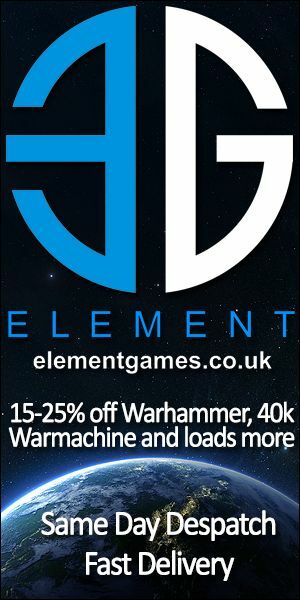 Do not charge these, just keep them shooting and avoiding charges. Your opponent will need to direct some attacks to split their force to get these, leaving the majority now vulnerable to attacks. This maximises the effects of the minotaurs. There is hardly any difference between the options of shield great axe or double axe, I go with great axe for more damage. 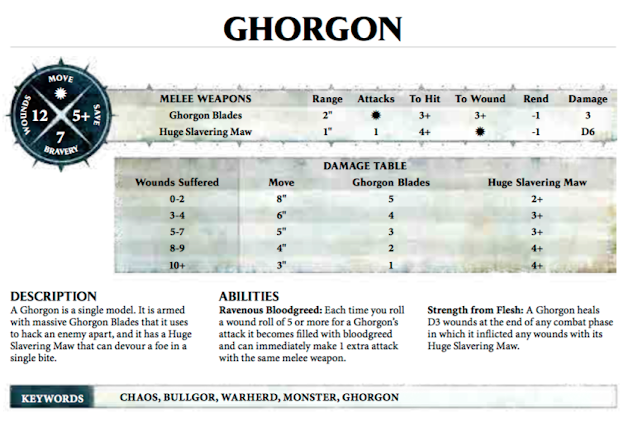 The Command ability is good, especially for the Ghorgons Maw as this is now auto hitting with no wounds. But will be needed for minotaurs too. The main core of the army, 3 units of 6 are best. Equipped with Shields means after mystic shield, they should be on 3+ Save, take the musician and banner option as more bravery is needed and keep behind the Ungors and near the Doombull. Great stats except the Save of 5+ will mean he goes down quick. 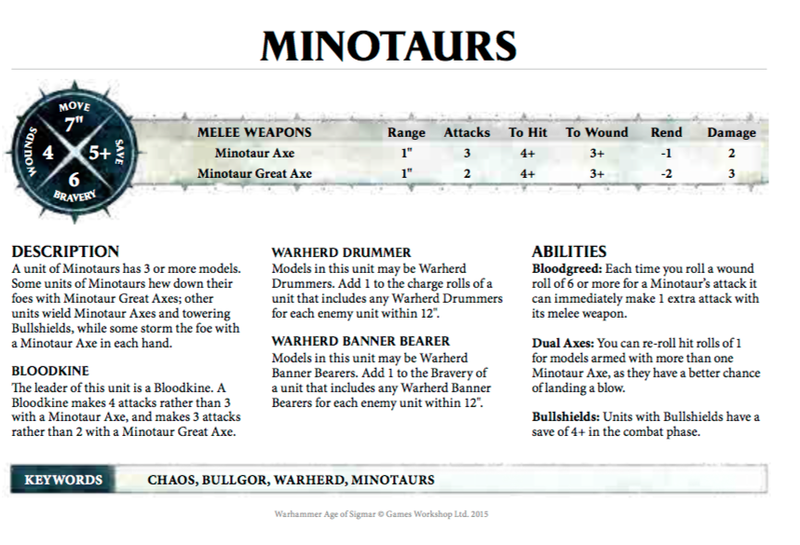 But used on a flank as a large diverter will mean your minotaurs can choose their fights better. If you can get him to combat then he will cause pain and a lot of it. But be prepared to lose him fast. Benefit is, our shaman can always summon another one! So in summary, not as good in my opinion the bray herd, but still a good viable option if used with Ungor raiders. This is AoS on hard mode!